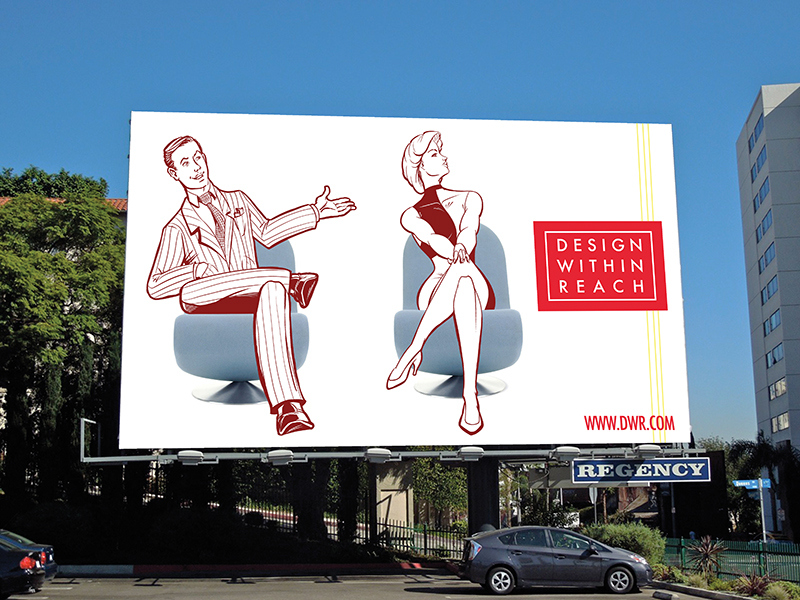 I devised this ad campaign for Design Within Reach, a company that makes accessible modern design. 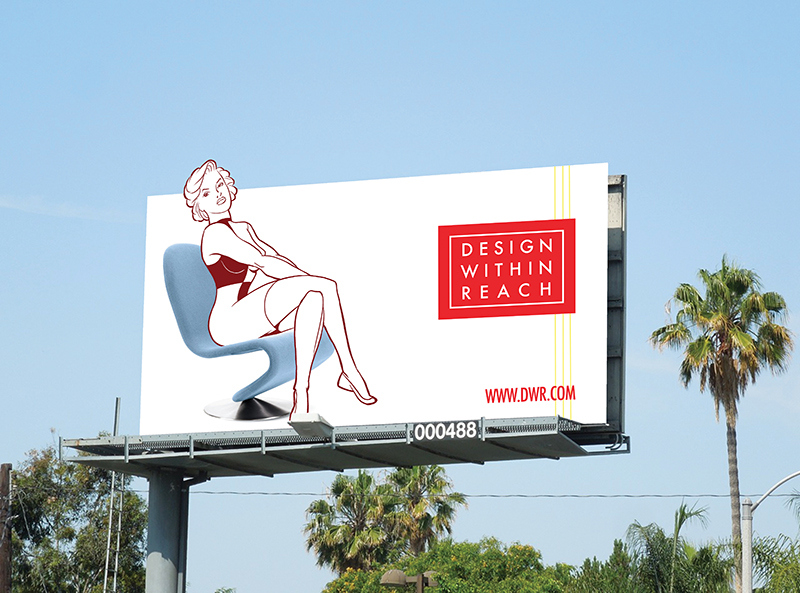 Wanting the campaign to be in the realm of the 1950s and 1960s, I felt the need to incorporate strong illustration, as well as modern photography, into the design. 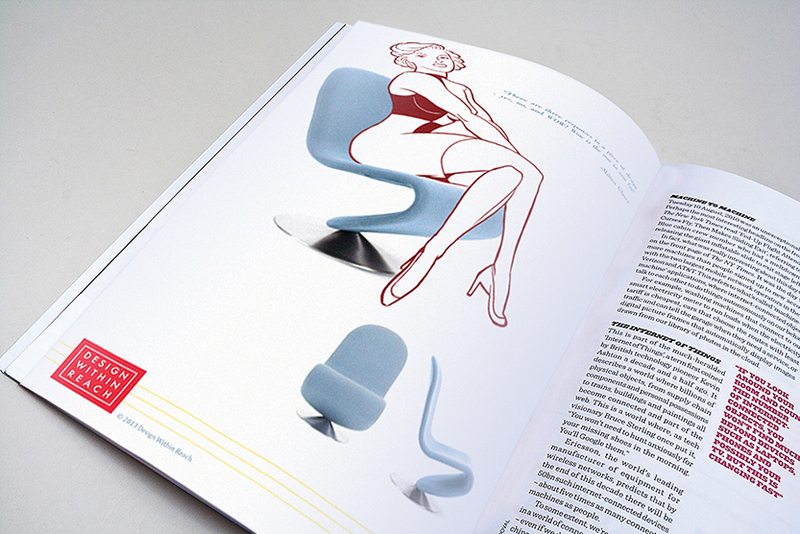 I focused the ads around the System 1-2-3 Lounge Chair in Fabric designed by Verner Panton. 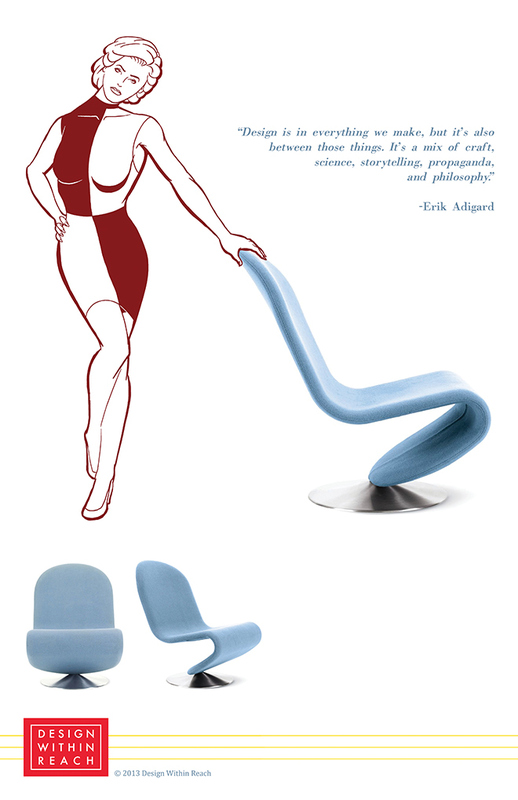 The moment I saw that chair I pictured a woman illustrated over it, sitting in a position very much mimicking the shape of the chair itself. I based the female character initially off a photo of Marilyn Monroe and put her in a dress I found from that era. Using photos of the three points of view I had of the chair, I drew her in a different position for each one. After I had those three I thought to introduce a male character along with her and based him off Don Draper from AMC’s Mad Men. 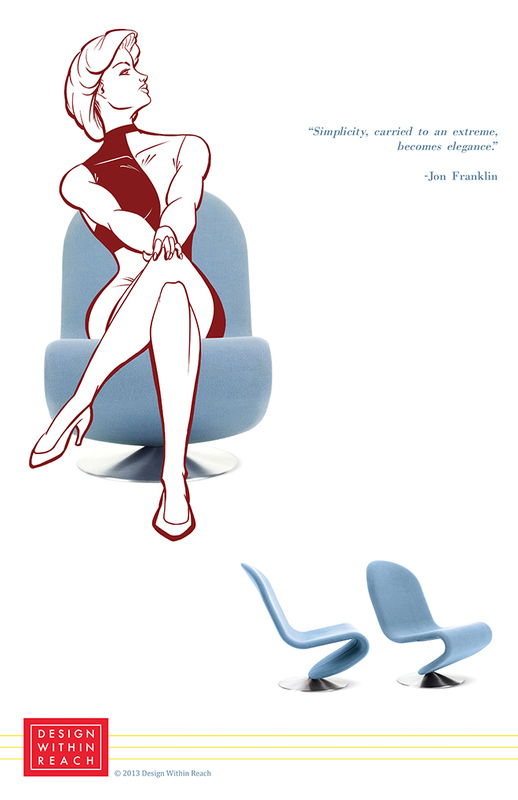 Having gone with the blue chair for each picture, I drew these characters all in a deep red. 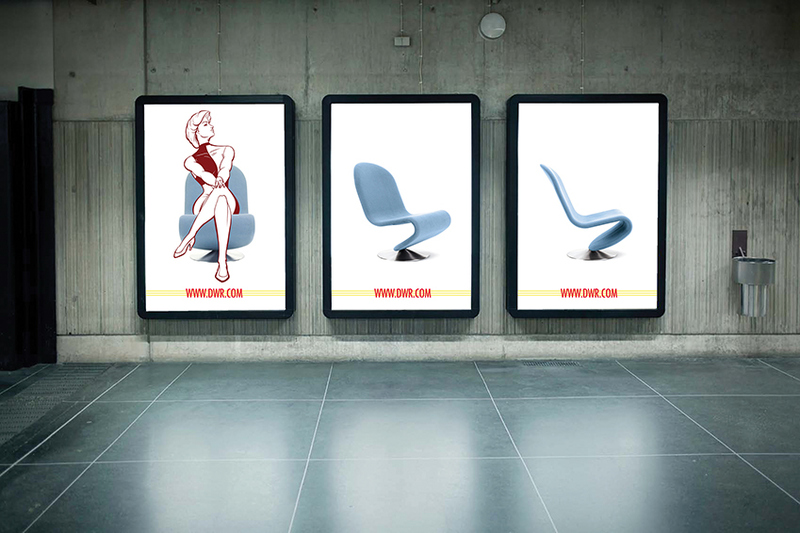 To complete the primary color theme, I added a touch of yellow to each advertisement in the form of three faint lines behind the company’s logo. *All artwork is original. 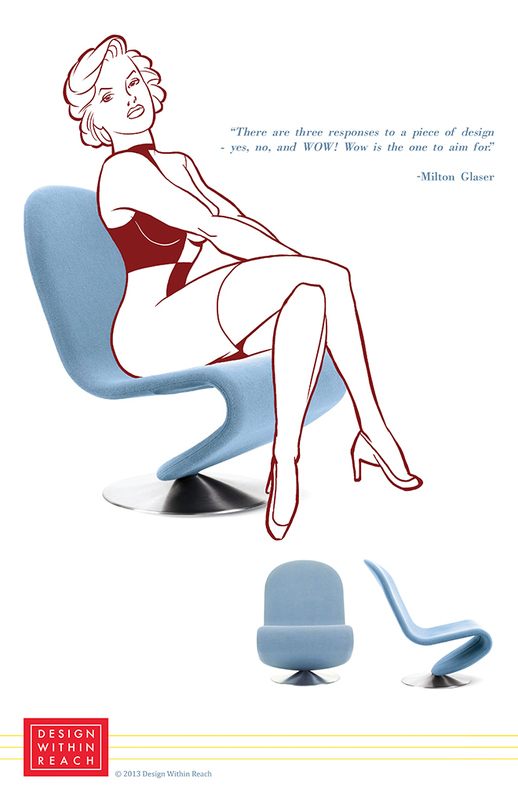 It was this image of the chair that I pictured a woman sitting on it in the same posture of the chair.